A kilowatt hour produced by an on-shore wind turbine is just as expensive as one produced by a coal-fired power plant. As a result, wind now has a fully-fledged position in the energy market, which is still dominated by fossil energy resources such as coal, gas and oil. On a global scale, numerous development plans for large-scale wind farms are awaiting realisation. This way, a more sustainable energy market and, consequently, a more sustainable society is gradually approaching. The foundation of a wind turbine to be installed on land represents the most risky part of the entire building project. Whereas the superstructure – tower, blades and turbine – are manufactured like a kit, to be assembled at a later stage, each foundation is tailor-made for its particular location on land. After all, it needs to be customised according to the soil, which may be hard or soft, and the available space. Based on our knowledge of the soil and our expertise concerning concrete structures, we are able to design a slender foundation in which up to 35 percent less concrete and 70 percent less reinforcement is used compared to regular versions. This way, ABT contributes to the increased sustainability of wind energy projects, since concrete and steel are energy-intensive raw materials resulting in high CO2 emissions. These cost savings also have a favourable effect on the financing of wind turbine construction. As a civil-engineering and foundation expert, ABT was involved in the construction of the Prinses Alexia wind farm in Zeewolde, the Netherlands, where client Nuon/Vattenfall set up a total of 36 wind turbines. Regarding the construction of 37 wind turbines for the Hopefield wind farm in South Africa, ABT collaborated with Gibb in designing the foundations, thereby realising savings on concrete and reinforcement amounting of approximately 30 percent. 1. ABT brings along a wide and long experience in civil engineering for all phases of wind energy projects. Our engineers speak the language and know the trap doors. 2. ABT makes the impossible possible. We make efficient and realistic designs in challenging locations possible by thinking out of the box. 3. ABT believes that more effort in engineering leads to overall cost savings in your project. Savings can be achieved best by design optimisation and risk reduction. 4. ABT believes that optimisation does mean higher safety instead of lower safety. 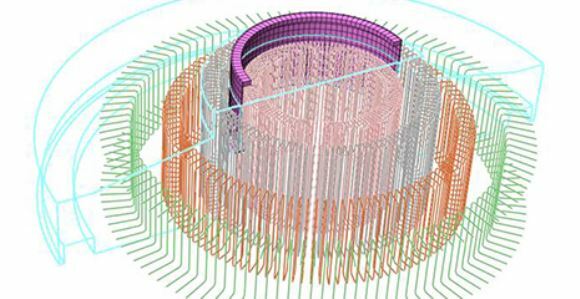 We use advanced design modelling to get insight in all possible failure mechanisms and therefore reduce design risks. 5. ABT thinks that the involvement of the engineer does not stop at the design phase but should also include the construction phase, mastering the interface between designer and contractor. 6. ABT believes in ongoing development of our designs. We invest in new developments for the benefit of our clients and the sector as a whole. 7. ABT has direct links with the scientific experts of the leading universities. We initiate, contribute to and participate in experiments to get more knowledge in behaviour of structures and materials. 8. ABT operates with small and flexible teams with short lines for the best communication. Our goal is to achieve a high service for the client and a quick response to situations. The video below demonstrates the foundation of a wind turbine. Would you like to know more about wind energy? Then download the flyer about wind energy!